According to the Australian Cybercrime Online Reporting Network, a snapshot for the period ending 31 March 2018, showed that the top three cybercrimes reported have not changed in the past 12 months. The three top cybercrimes are Scams 51%, Purchase scams, 22% and 7% cyber bullying. The biggest age bracket that fall victim to cyber-crime has also not changed in the last 12 months. The age bracket most susceptible being, the 20-40-year-old age bracket with email, social networking and website advertising, as the three top targets of cybercriminals. The small to medium business environment continues to face the threat of cyber-security daily. The Stay Smart Small Business guide highlights that 59% of Australian organisations have their business interrupted by a cyber breach every month. 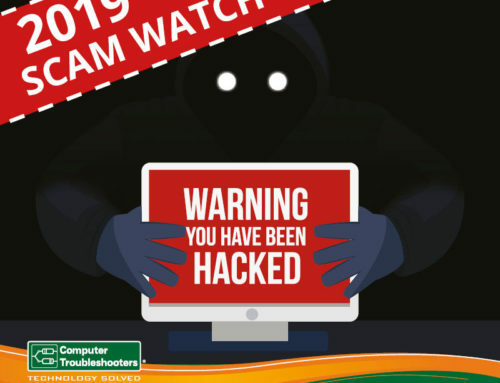 Cyber- crime reports indicate that 43% of all cyber-crime targets small to medium businesses and that 80% of hacking-related data breaches involve weak or stolen passwords. This is no comfortable environment for small to medium businesses to operate in. Reports and statistics continually show that a small to medium business needs to have the right support in place, so they can have confidence that they can minimise and mitigate the risk of cyber-crime. This is where Computer Troubleshooters are well placed to provide this assistance and guidance to a small to medium business. 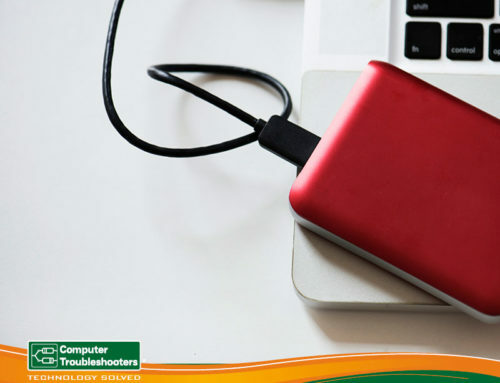 Computer Troubleshooters have a range of proactive subscription-based plans that target the needs of the Australia’s small to medium businesses. Alert means that the business is aware of the importance of having a strategic and an action plan to ensure that it is minimising and mitigating the risks to its business. It’s a constant discussion topic between the employees of the business and the owners, sharing of experiences take place. Policies are developed to minimise risk. Prepared means undertaking steps such as developing an action plan, investing in a program of education for staff, conducting regular security audits so you’re aware of the risks, investing in software across the end points and network structures to minimise risks, implementation of a back-up solution, and engagement of a trusted technician to effectively support the organisation. Responsive means that the organisation has in place a proactive support plan that is provided by their trusted technology partner such as Computer Troubleshooters. Some elements that are being undertaken proactively are such things as patch management across all applications and operating systems, application whitelisting, management of administrative rights and network access, proactive policy implementation around password management, monitoring that the backup solution is working, implementation of the latest technologies and processes such as two factor authentications. How can Computer Troubleshooters assist you with Cyber security? 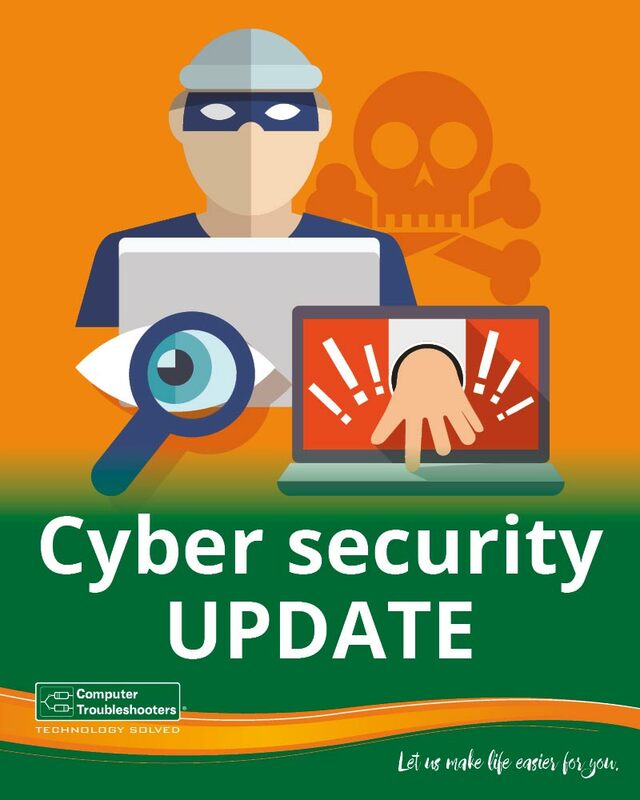 Review the plan options around the Total Protection Plan, incorporated with a Microsoft Office 365 discussion, understand the backup options and finally ensure you have monitoring and at least patch management included in your plan to minimise the risk of a cyber security breach.